It’s no secret that I’m a major fan of The Fleshtones, that dandy, beyond bitchen little band from New York that’s been grinding out no-frills, back-to-basics rock ’n’ roll — they’ve dubbed it “Super Rock” — for more than 40 years. (Their first gig was at CBGB in 1976.) However, truth is, I have not been super-impressed by the Super Rock on the last few Fleshtones albums. Though all of their works in recent years have some great tunes, I thought the group didn’t quite earn their beer on The Band Drinks for Free (2016) and that they were spinning their wheels on Wheel of Talent (2014). Brooklyn Sound Solution (2011), which featured Patti Smith’s guitarist Lenny Kaye, was good, but it had too many instrumentals. But I had a feeling about their new one, Budget Buster, which was released earlier this year. And, by Jiminy Cricket, I was right — it’s a winner. It’s not a “regular” studio album — it’s a compilation of outtakes, B-sides, and other oddities culled from the past 10 years or so — but to these jaded old ears, this is the best album since 2008’s Take a Good Look, my favorite Fleshtones record of all time. 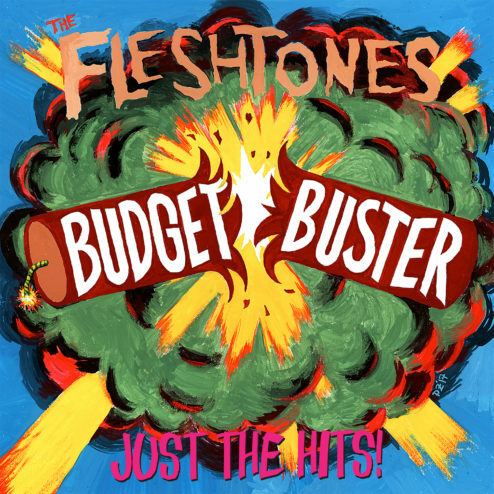 For the sake of the uninitiated, The Fleshtones is the brainchild of Peter Zaremba (vocals, keyboards, harmonica) and Keith Streng (vocals, guitar), a couple of Queens boys who created a hopped-up hybrid of garage rock, punk, New Wave, and soul. They’re the only original members, though drummer Bill Milhizer has been with them since the early ’80s and bassist Ken Fox has been a Fleshtone since the early ’90s. But despite Zaremba’s stint hosting The Cutting Edge, an alt-rock show on MTV, for more than four years in the ’80s, The Fleshtones’ Super Rock never achieved super success. Oh well. That just means that the music they make is done out of joy and love, not because of some marketing plan. Budget Buster is full of memorable songs. 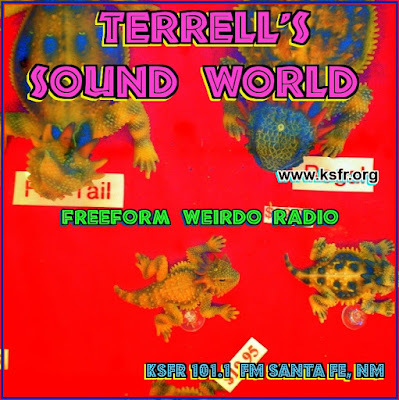 The opening track, a cover of Little Richard’s “Dancing All Around the World,” which was recorded in Spain, is pure good rocking fun. “Ama Como un Hombre” is a Spanish-language version of “Love Like a Man” from The Band Drinks for Free, with the same addictive little organ hook as on the English version of the song, which was written by Alvin Lee and first recorded nearly 50 years ago by Ten Years After. There’s plenty of tasty wah-wah guitar (Mr. Streng, I presume) on “Touch and Go,” while “Everywhere Is Nowhere” features vocals by the big-haired — and even bigger-voiced — Mary Huff of Southern Culture on the Skids. “Dominique Laboubée” is an urgent-sounding ode to the late singer of the French punk band called Dogs. And another strong tune is “The Band Drinks For Free,” which I assume was originally meant as the title track of their 2016 album. I’m not sure why it would have become an outtake. It’s better than many songs on that album. In Sweat, his 2007 biography of the band, author Joe Bonomo called The Fleshtones “America’s Garage Band.” I just wish that more Americans — and people from other countries, for that matter — appreciated them as such. 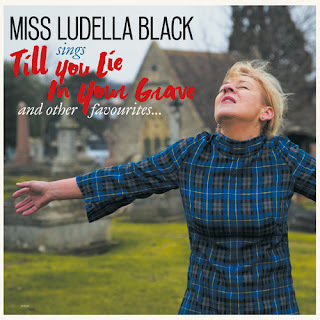 * Till You Lie in Your Grave by Miss Ludella Black. For nearly all of the 1990s, Miss Black was a member of Thee Headcoatees, an all-female British garage-punk band created by the mad genius Billy Childish as a women’s auxiliary for his band Thee Headcoats. Thee Headcoatees sang shoulda-been hits like “My Boyfriend’s Learning Karate,” “Davey Crockett (Gabba Hey),” and “Melvin.” One of Black’s bandmates was Holly Golightly, whose latest album, Clippety Clop, was reviewed in this column just a few weeks ago. Backed by a powerful little combo called The Masonics — whose 2017 album, Obermann Rides Again, is worth seeking out — Black’s music is retro without being cloying, emulating the girl group sound of the early ’60s, but with a harder-edged punk-rock sensibility. Black also covers a Beatles song, “Wait,” a relatively obscure tune from Rubber Soul. I like this one more than the other recent Beatles cover I’ve heard, “I Want to Hold Your Hand,” which is on The Melvins’ latest album, Pinkus Abortion Technician. First, The Fleshtones, with a live version of "Dancing All Over the World"
And here's Miss Ludella with the title track of her new album. THROWBACK THURSDAY: Happy Birthday, Kitty Wells!